Chinese online recruitment company 51job Inc. announced its unaudited financial results for the first quarter of 2011 ended March 31, 2011. Net income for the first quarter of 2011 increased 81.6% to CNY91.6 million from CNY50.4 million for the same quarter in 2010. Total revenues increased 27.6% over the first quarter of 2010 to CNY324.5 million. Specifically, online recruitment services revenues increased 57.5% over the first quarter of 2010 to CNY172.8 million. 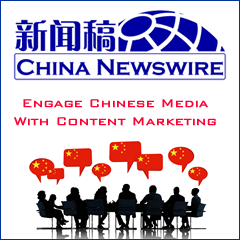 However, print advertising revenues for the first quarter of 2011 decreased 6.5% to CNY86.4 million compared with CNY92.4 million for the same quarter in 2010. The decline was primarily due to a reduction in the number of cities where 51job Weekly is published, from 20 cities as of March 31, 2010, to 16 cities as of March 31, 2011. Income from operations for the first quarter of 2011 increased 77.0% to CNY108.1 million from CNY61.1 million for the same quarter of the prior year. As of March 31, 2011, 51job had cash and short-term investments totaling CNY1.7 billion compared with CNY1.6 billion as of December 31, 2010.